I'm on a Mac running macOS 10.12 (Sierra) and I've just registered for mydlink.com. I'm signed in and the first thing it tells me is "The mydlink services plug-in needs to be installed. To connect to your mydlink-enabled devices, you will need to download and install the mydlink services plug-in.". I downloaded the plug-in but when I run the installer it simply tells me "Plugin Install Failed". There are no other options. What do I do now? Sorry, I forgot to mention I am using Safari. I don't use Chrome, but I did download it to see if the solution in the FAQ would work. Unfortunately, the setting it says to change doesn't exist in this version of Chrome, so I couldn't change it. Be sure to clear all browser caches before and after installing the plug-in. 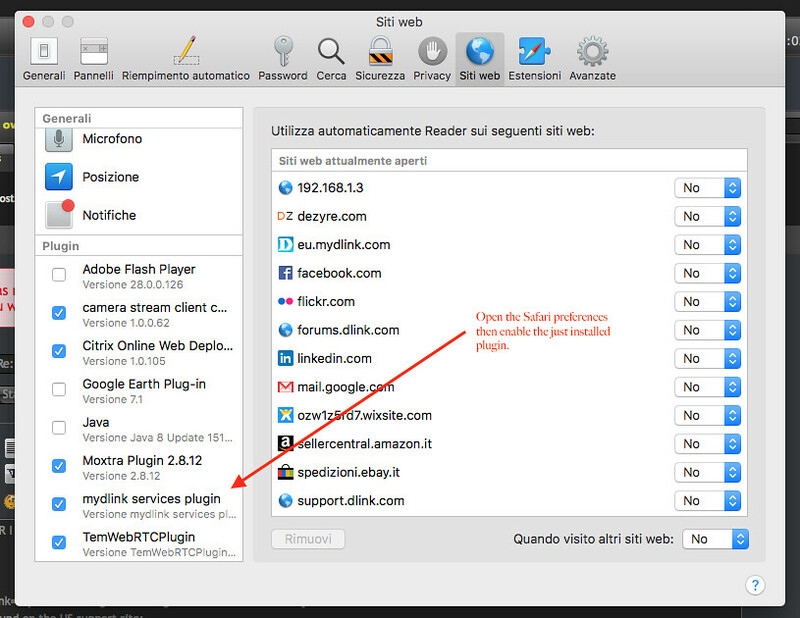 It seems that the pluging is not compatible with the new Safari security policy. Upgraded to Safari v10 on OSX 10.11.6 and reinstalled plug in to be sure and it works. I guess Mac users have to undergo the same installation frustrations ... tech support were unable to resolve it and downloading Firefox didn't help either. I finally managed to resolve the problem, thank God, so I'm posting it here in case someone may need it. I'm on the latest versions of Mac OS 10.12 and Safari 10.0. This issue maybe due to the fact that there are changes in the new Sierra OSX version and D-Link may need to update the plug-in installation SW is all. The plug-in installs correctly in Yosemite 10.11 for me. However I haven't installed Sierra yet to confirm this. I'll pass this along to D-Link for review. Thank you for posting this and giving more info. Did you try this https://www.mydlink.com/faq#id-topFAQ/ans-133 ?